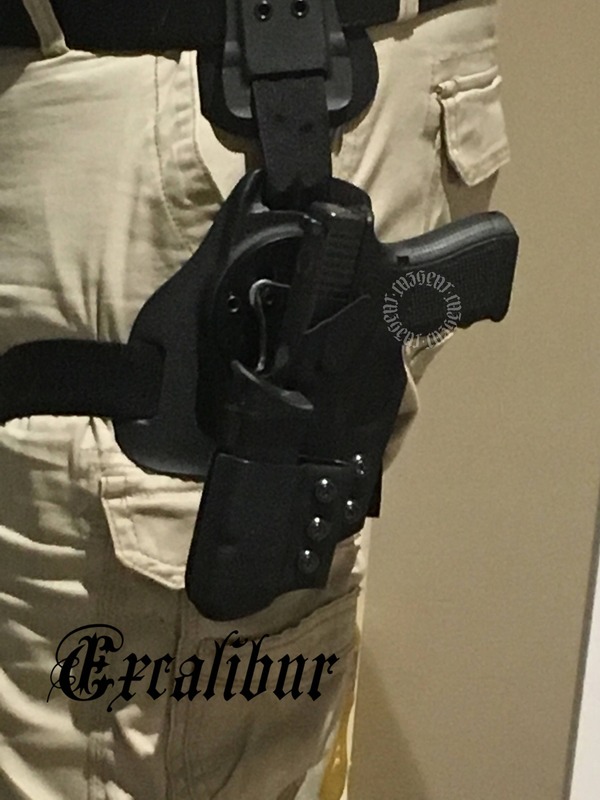 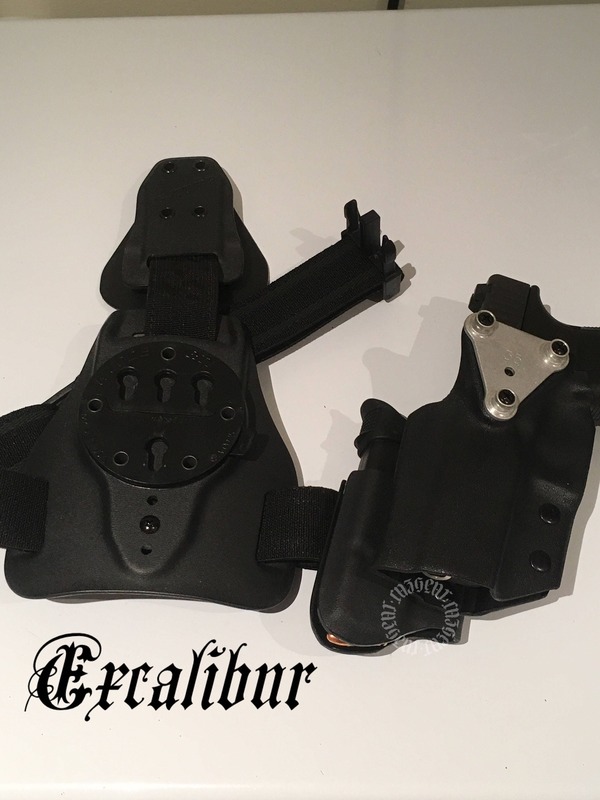 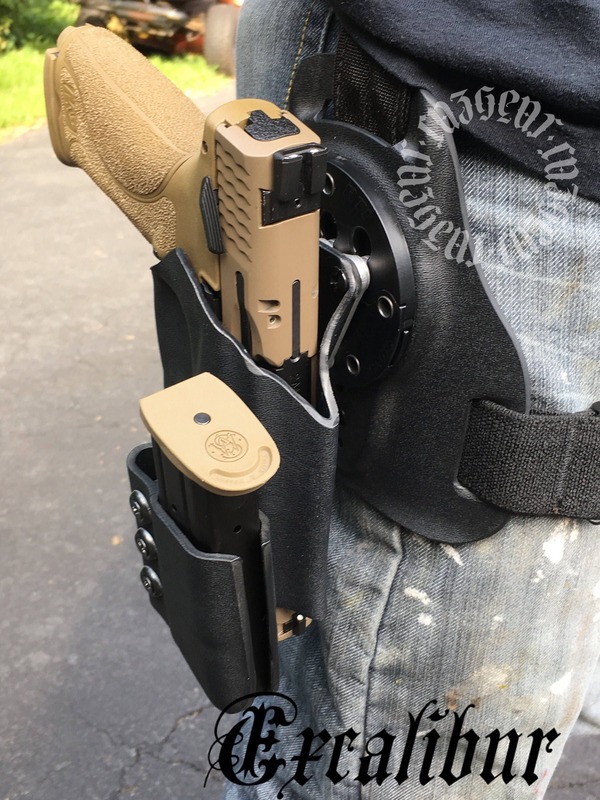 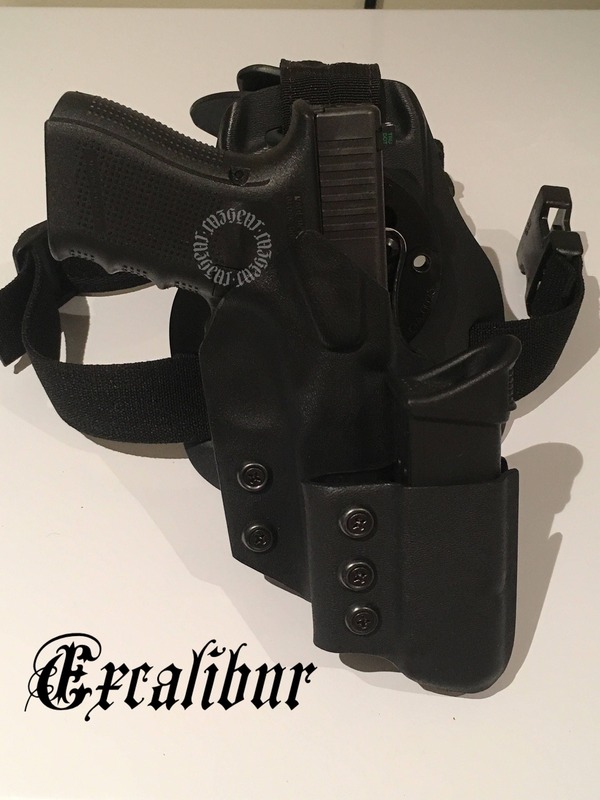 Excalibur: Right Handed Draw Drop Leg Tactical Holster (with G-Code RTI mounting system) with attaxhed CazGear Switchblade II. 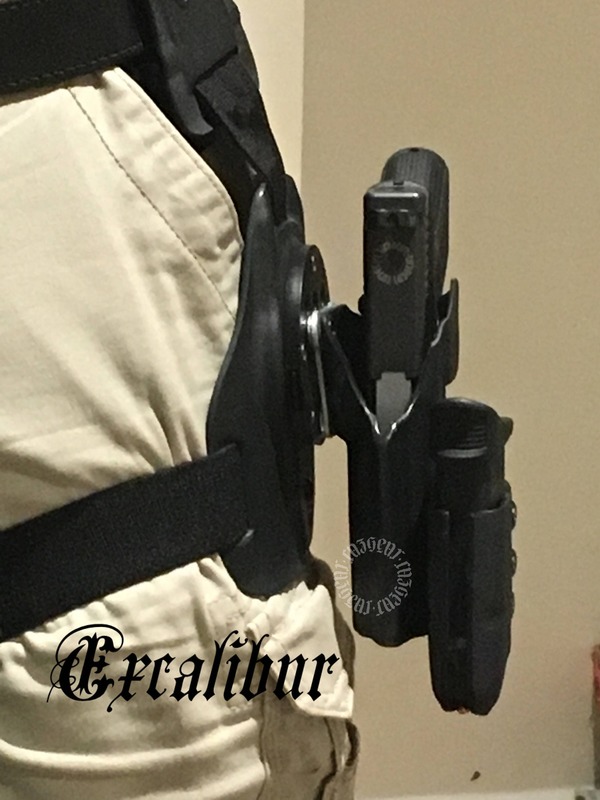 Designed especially for high threat volatile environments. 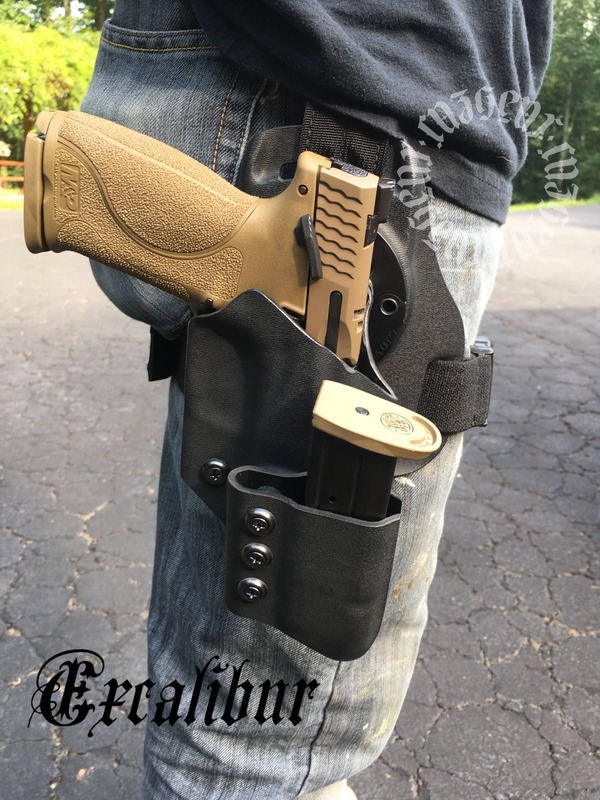 Includes durable, heavy duty G-Code RTI system and attached CazGear Switchblade II magazine pouch designed for nearly all double stack magazines.